Game Anglia 2018 – A Success! As the sun rose on the morning of the 11th November, the world had changed forever. The dawn signaled the end of a year’s planning and preparation for Game Anglia 2018. We can happily confirm that Game Anglia was a resounding success. 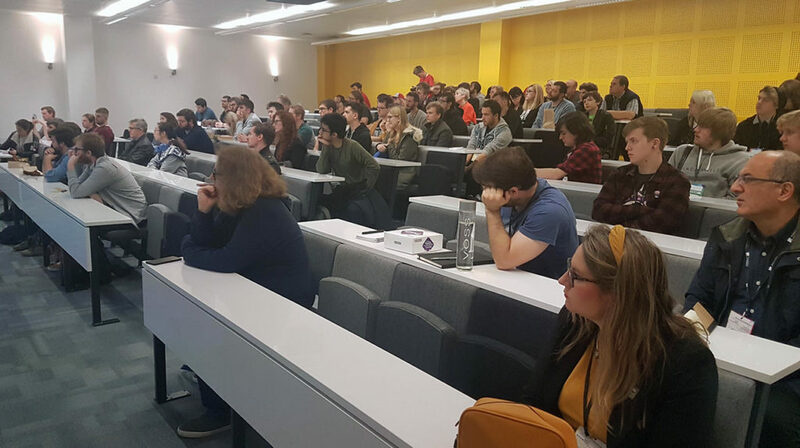 With just over 500 people attending on the day from wide-eyed children to grizzled battle-worn developers, Game Anglia 2018 offered something for everyone. The 17 speakers across two tracks ensured that education was at the top of the agenda. From getting started in the industry to bug finding, testing and quality control, both students and experienced developers alike could take something away from the day. A huge thank you goes out to all our sponsors on the day including Derivco Hays, DP Connect and of course, the University of Suffolk. We couldn’t have done it without you. 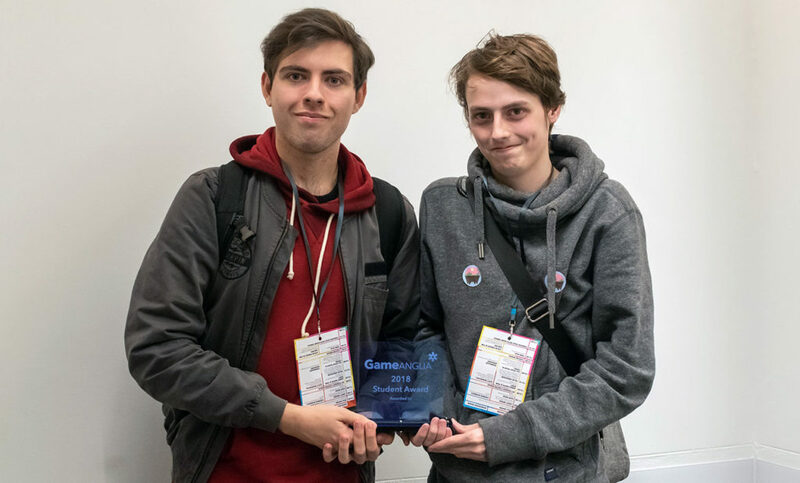 A record breaking 28 indie games appeared at the show that included the mobile shooting game SHUMP, the Hamster beat-em-up Hamsterdam and the more serious ‘Before I Forget’ that looks at the distressing reality of a dementia sufferer. 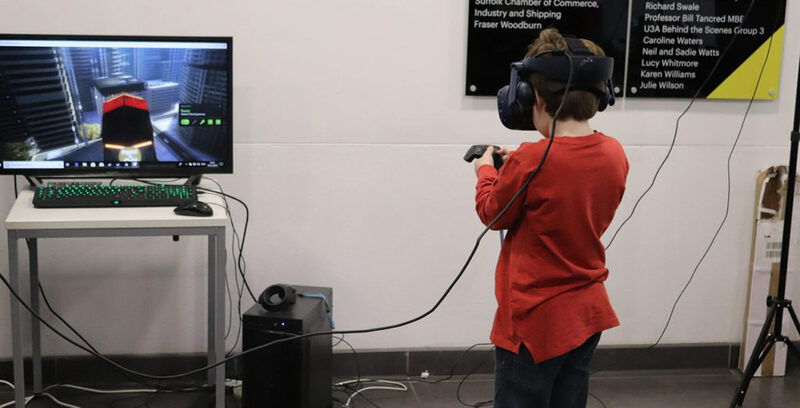 The amazing Press Start Gaming Lounge pulled out all the stops to offer visitors a fantastic VR section, meaning gamers could experience different types of VR games, from action classics to nerve bending balance games. Many of the speakers had to battle an array of setbacks along the way from delayed flights to an actual car accident. Despite this, they appeared bright-eyed and bushy tailed right on schedule. By 4 pm, once the knowledge had been shared and the lessons learned, we all huddled around our digital fireplace for a Q&A session with the funny and talented Rami Ismail. 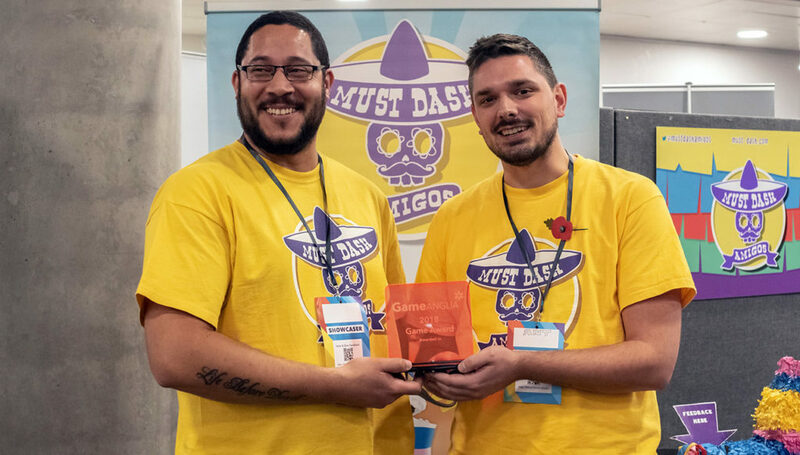 Once all the votes were in and counted, the Student Game Award Winner went to Endless Journey and the Indie Showcase ‘Game of The Show’ award went to the hugely addictive and hilarious racing game ‘Must Dash Amigos’ by MiniBeast Studios in Cambridge. With the sun firmly set, the Marioke kicked off the evenings festivities. Boasting over 400 well known songs, all re-written about video games, the after party was a blast. Whether people were singing about Zool or Castlevania, a good time was had by all before it’s climax when everyone joins Rami and Ellie for a rendition of Linkin Park’s ‘The End’. The perfect end to a perfect day.